7.4 x 2.6 x 1.6 cm. 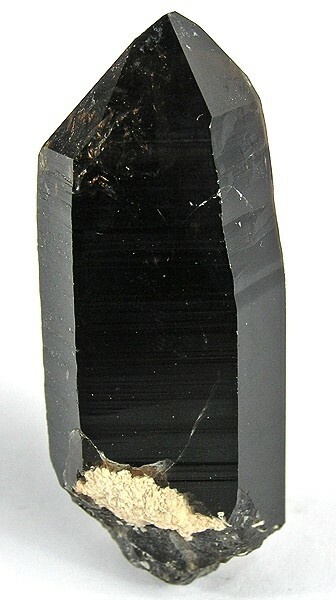 A razor-sharp Dinkey Creek smoky quartz, in superb condition; very dark, with a bit of gemminess at the top. Glassy luster. Ex. Richard Hauck Collection.